Originally, we were just going to get a take away but then thought that we might as well sit and eat in the restaurant. 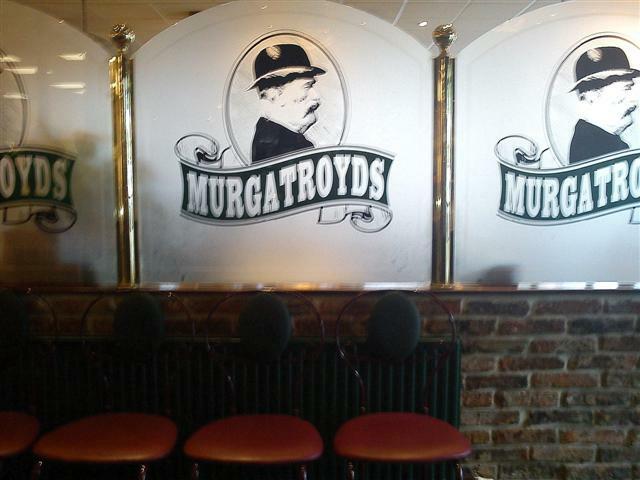 When we entered Murgatroyds, we were welcomed by the friendly staff and also by the spacious lobby like area with the bar and a tempting cake display. The restaurant area was fairly big with its booth seating and also open areas with normal tables and chairs. 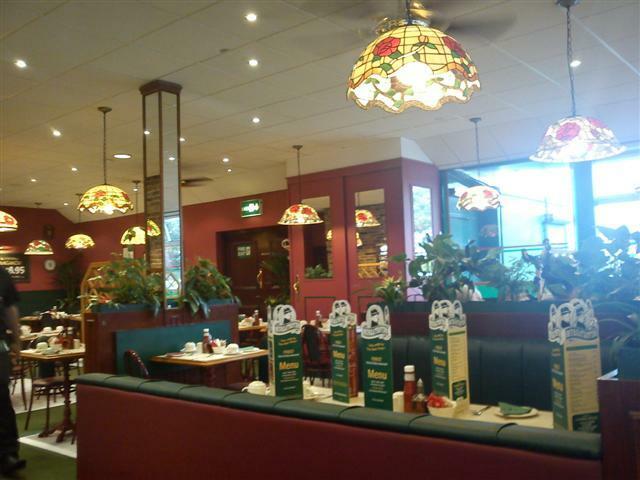 The colour theme was green and red with Tiffany style lightshades. As my dad pointed out while we were seated in our booth, it was nice that the booths were separated with plants. This gave the diners the privacy whilst having their meals. 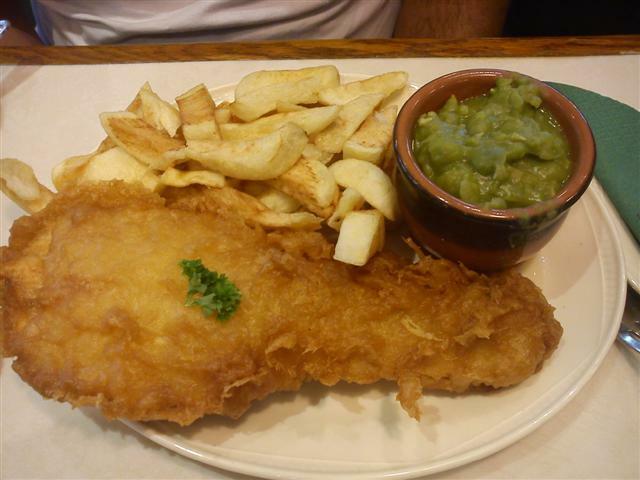 It had to be the classic fish and chips and the fish of choice was the haddock fillet. It was served with bread and butter. We were given the choice of white, brown or mixed bread and we chose the brown. It was served as buttered triangles. The bread was nice and fresh and good to make a chip butty. Also, we were asked if we wanted any additional sauces and so we had some tartare sauce. The fish had a good flavour and the batter was very light and crispy. The chips were crispy on the outside and soft on the inside. Neither the fish nor the chips were oily or greasy. The side of mushy peas were served in a little pot. The mushy peas were really tasty and weren’t overly mushy. The staff were lovely and came to us a couple of times through our meal to make sure that everything was ok. The food was brought out quickly too. Tea was served by the pot and we were given two pots. One had tea and the other one was just hot water, so we could top the tea up. We had plenty of tea to last the whole meal and there was even some left in the pot at the end of our meal. Seen as my mum wasn’t with us on our impromptu fish and chips dinner out, we took some chips and mushy peas from the the take away back home for her. These were just as tasty and of a high quality as the restaurant food. A wonderful time was spent with my dad on this rainy day. Nothing beats quality time between dad and daughter, with the bonus of good food. I maybe a little biased as I always think Yorkshire fish and chips are great, but these ones at Murgatroyds were definitely of a high standard and perfect in every way.